Slicker Seats - the duo you want at that next game. 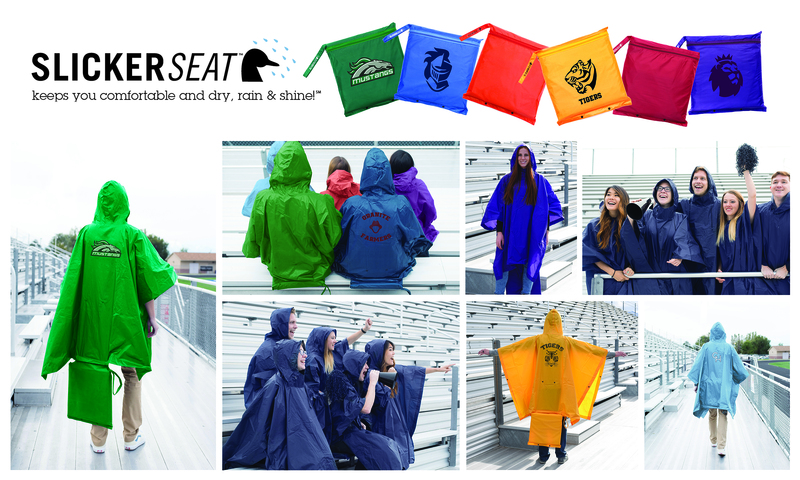 Part rain slicker, part stadium seat - all in one. Use one at a time or both. Stay dry and comfortable at that next game. Slicker Seats are customizable. Have us screenprint your favorite team's logo and show your team pride! Have you ever been to a NASCAR race? When the drivers strap in their cars and fire up those engines, you feel the power rumble through your entire body, even at the top of the stands. The noise is incredible. You’ve never felt anything like it, and it’s definitely something you should experience for yourself. The last time my wife and I went to a race it started to rain. There wasn’t any rain in the forecast, so when the storm hit everyone was unprepared. Fans left their seats in droves, streaming toward the gift shop to purchase cheap, one-use ponchos to shield them from the elements. As I worked my way toward the gift shop, I thought about the laps I was missing. My mind turned to fans in stadiums around the world. How many touchdown passes or goals would they miss while off in search of a cheap piece of plastic to cover their heads? 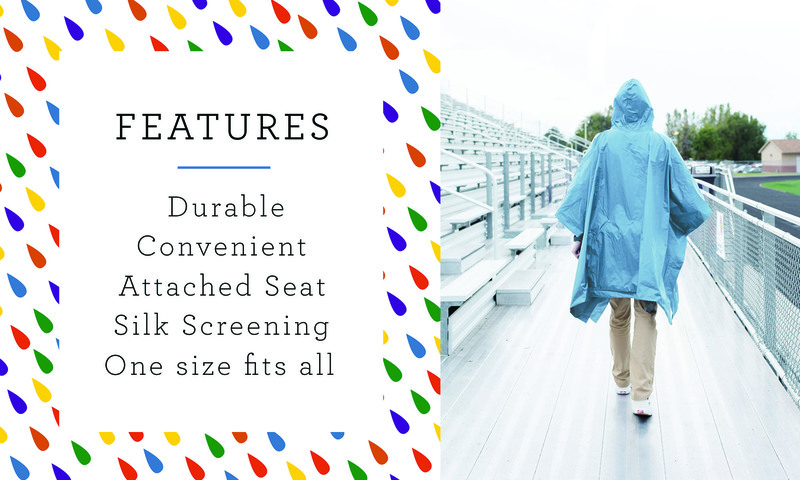 On the car ride home, we excitedly talked more about the Slicker Seat – a high-quality, durable stadium seat with a built-in poncho. When the sun is out, the poncho neatly folds into a seat cushion that makes even the hardest metal bleacher comfortable. When and if storms come, out comes the poncho. You'll never miss an important play again! That's how the Slicker Seat was born. We hope you love it just as much as we do.